I would have sighed deeply with you. Maybe we could have gnashed our teeth too. But really? 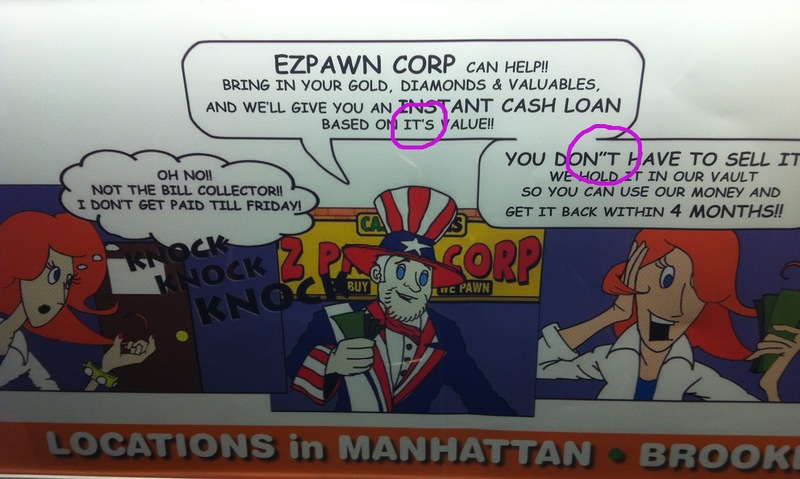 What do you expect from EZPAWN CORP? I love you a little. It is value. NO. Eats, Shoots and Leaves, anyone? A little proofreading goes a long way--even spellcheck would have caught the quotation mark/double apostrophe error. Well at least there was subject/verb agreement. Be thankful for small things in today's world I always say. And I'm so glad that you share them with us. It really hurt me to let that comment go through. I was going to write what Pinky wrote. 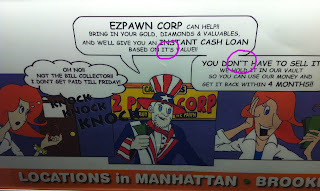 EZPawn?